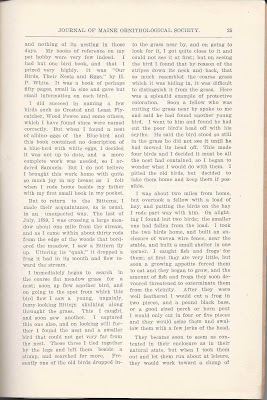 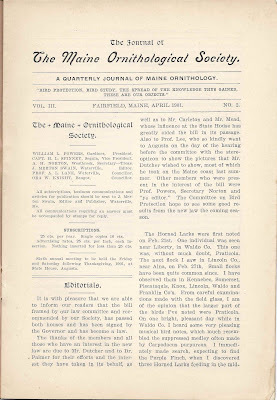 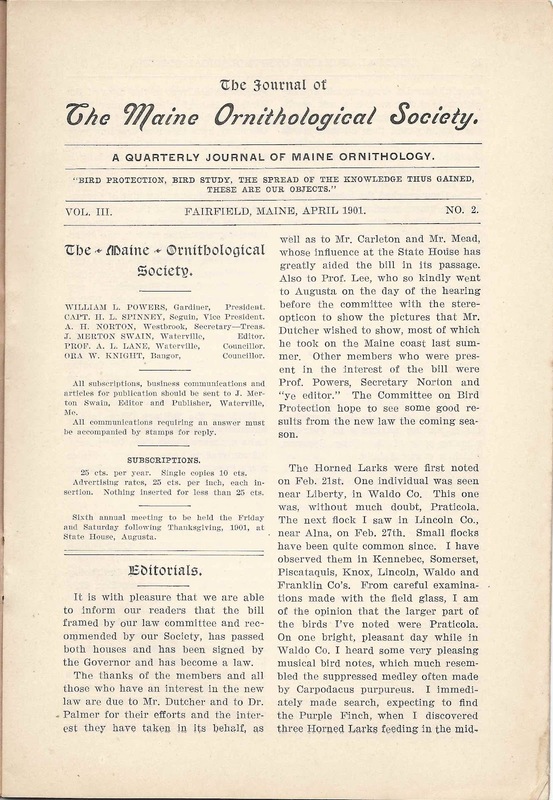 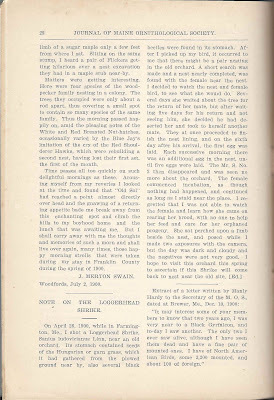 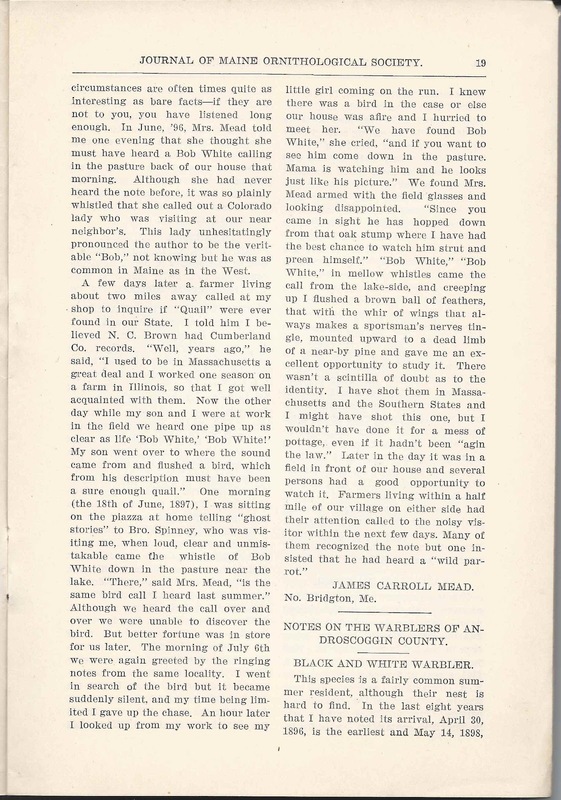 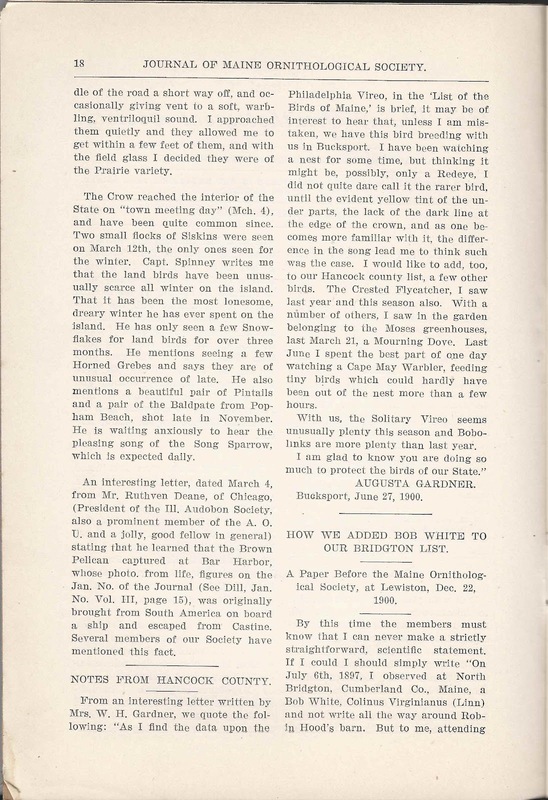 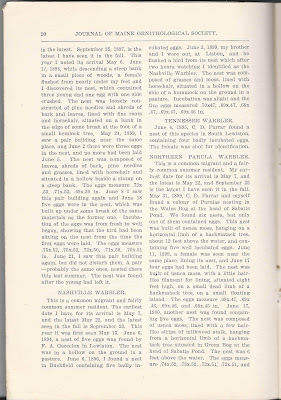 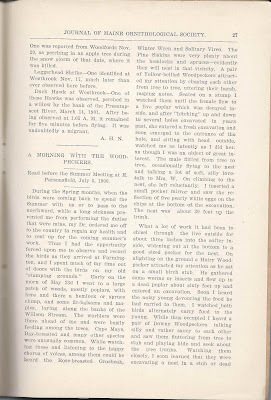 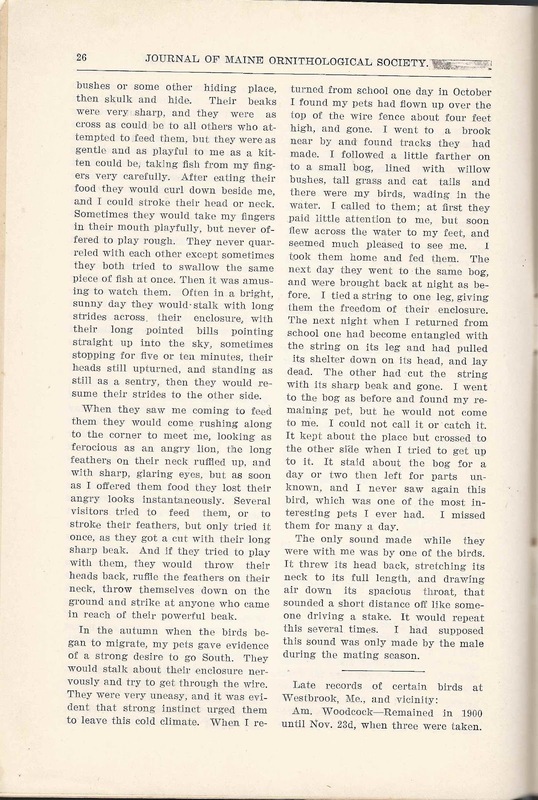 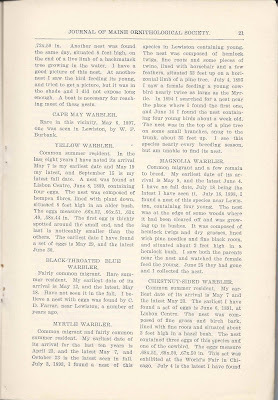 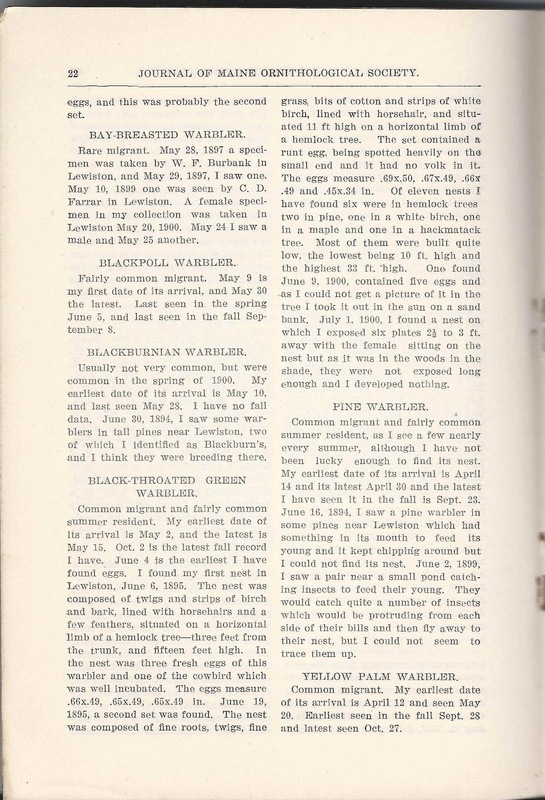 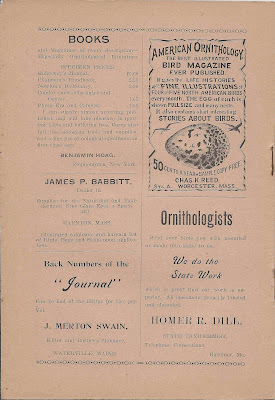 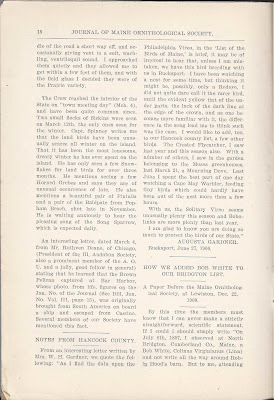 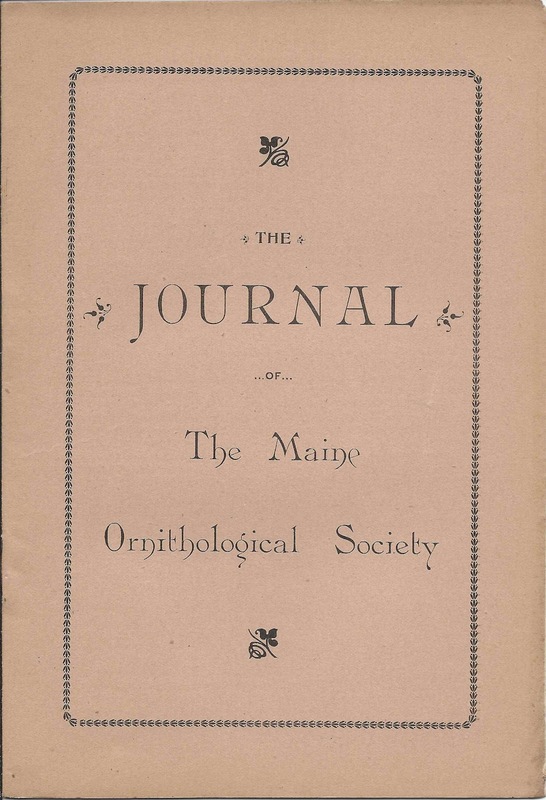 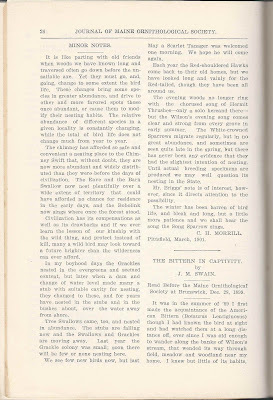 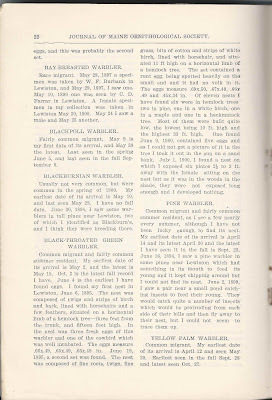 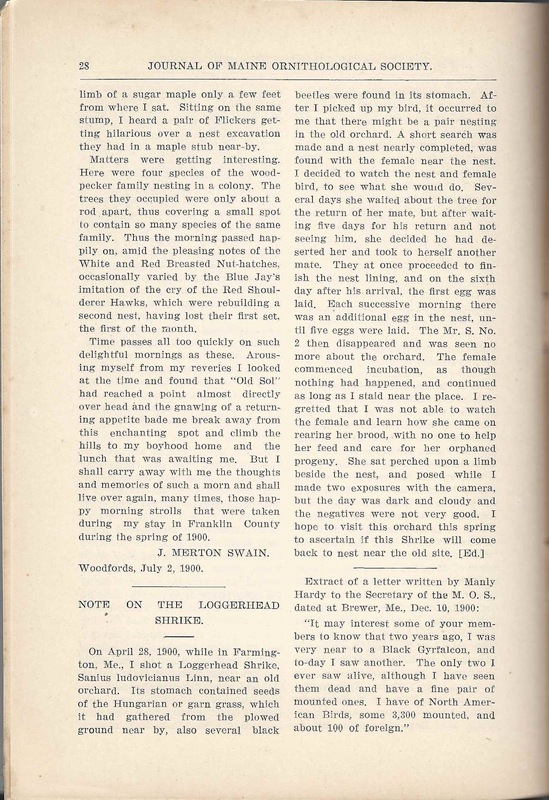 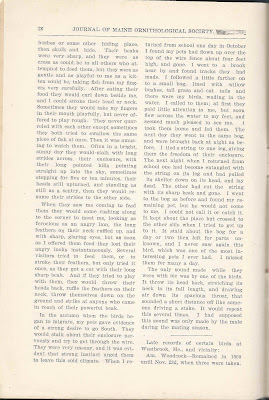 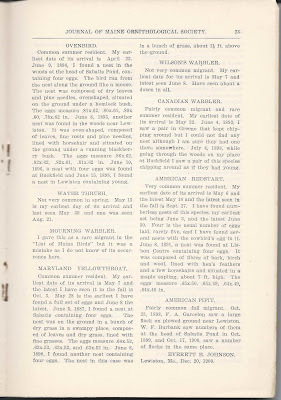 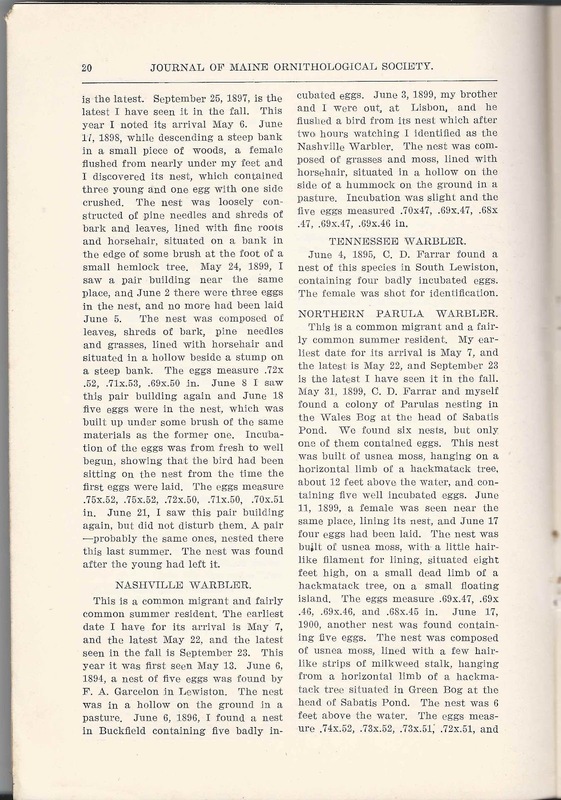 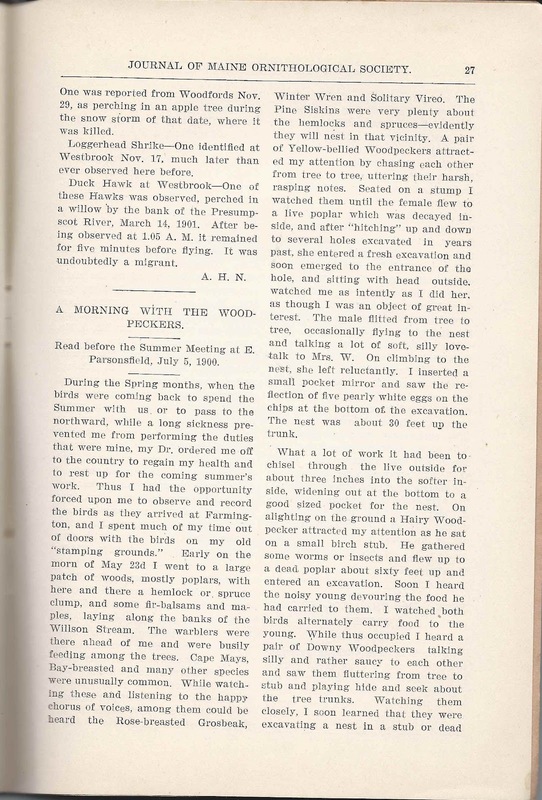 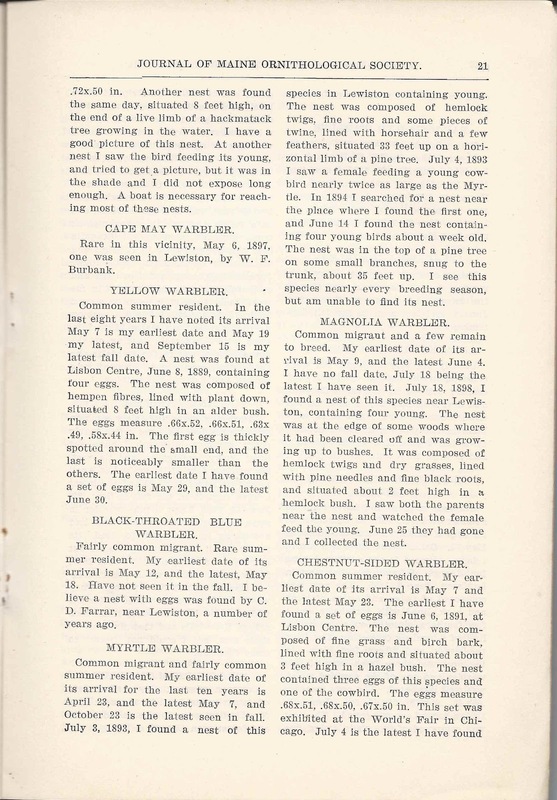 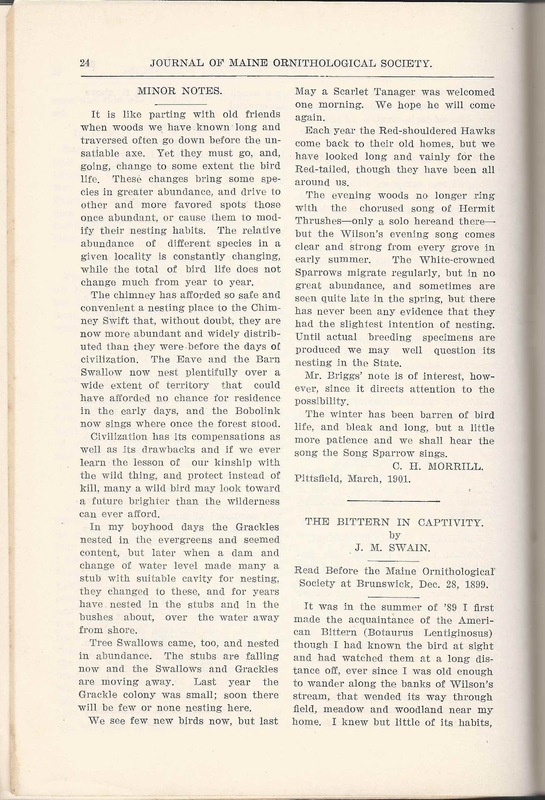 April 1901 issue of The Journal of the Maine Ornithological Society, a quarterly journal published at Fairfield, Maine. 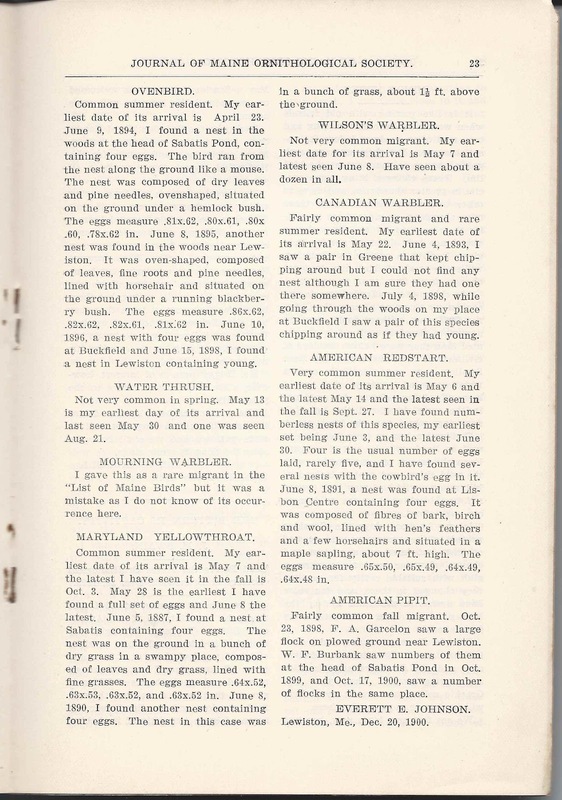 Approximately 9" x ", with pages running from 17 to 28. 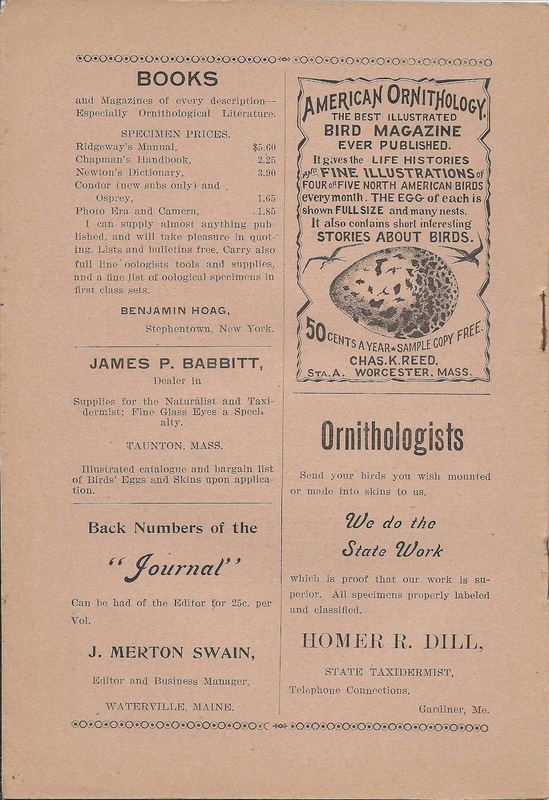 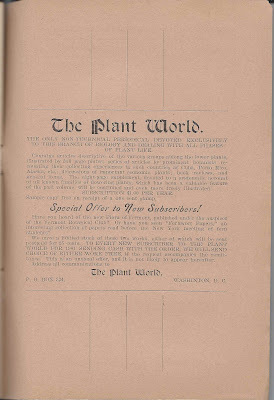 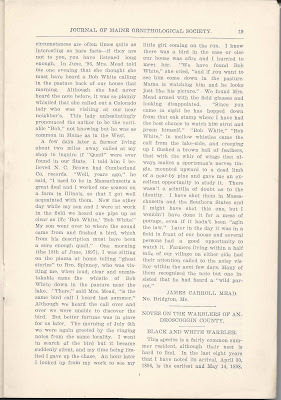 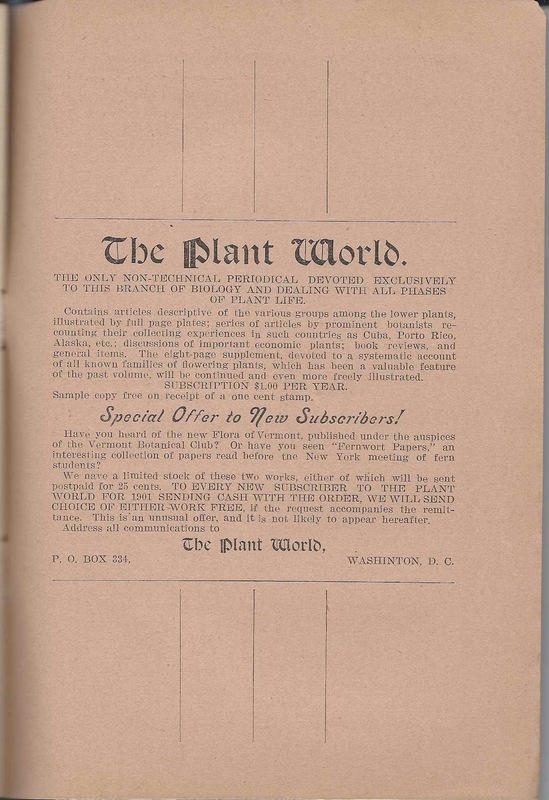 See the July 1901 issue here. 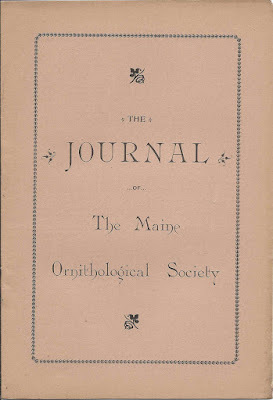 The journal contains interesting articles about Maine bird watching and a few advertisements from Maine and beyond. 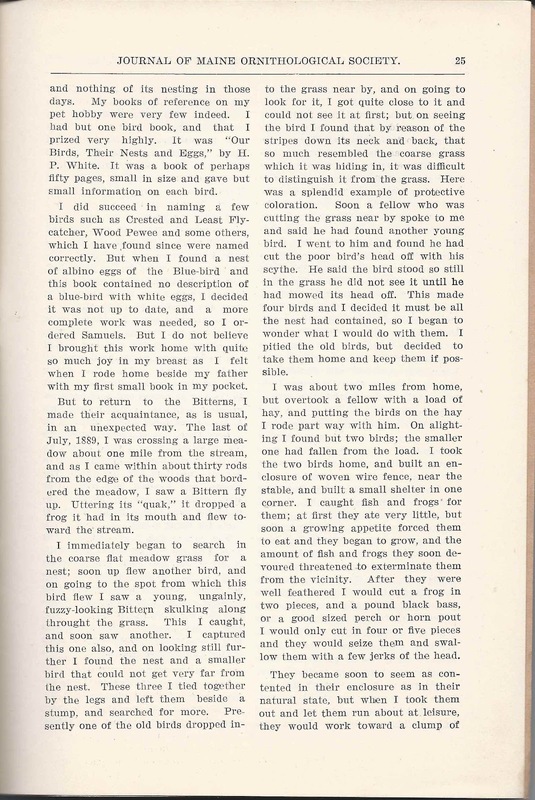 H. P. White; his book "Our Birds, Their Nests and Eggs"